South Georgia Island is a part of the British Overseas Territory, which is nestled on the South Atlantic Ocean. This astonishing island along with a group of smaller islands known as the South Sandwich Islands contributes in making this place as one of the best vacation destinations. Here, the blue ocean soothes your eyes as much the white sand all glitters with the sunlight reflecting on it. Come and explore this fantasy like South Georgia Island and experience the beauty and aura of nature at its ultimate best. Best time to visit South Georgia Island: From the month of October to mid-February i.e. in Spring And Summer; it’s the best time to visit South Georgia Island. During these seasons, South Georgia island weather is just perfect and comfortable. 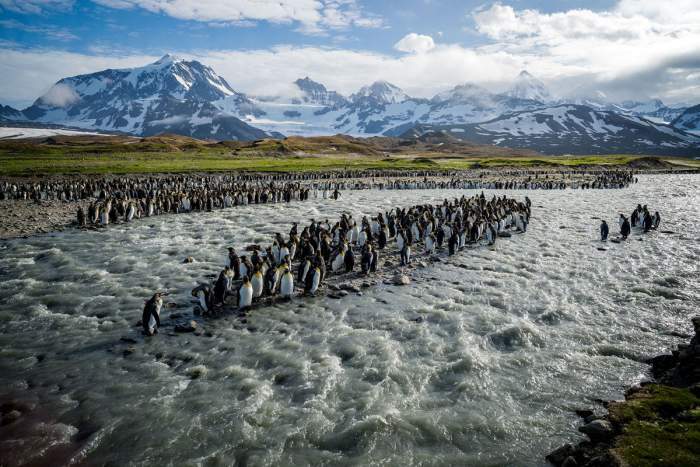 The days are sunny and one can see huge populations of penguins and their babies during this time. How to reach: To reach South Georgia Island, you need to fly down to Mount Pleasant on The Falkland Islands. From there, you can get a ship and sail up to beautiful South Georgia Island. Where to stopover: South Georgia island population is like very few and still scattered. Here, scarcely 30 people live and maximum of them stay in Grytviken which accounts to be the largest settlement in South Georgia and in King Edwards Point- South Georgia Island capital. The visitors mainly stay in Falkland Island and have the accommodation of any of the South Georgia Island tours and return the same day. When you talk of the best things to do in South Georgia Island, your heart will literally go gaga! And undoubtedly it’s one of the best travel destinations in Europe. 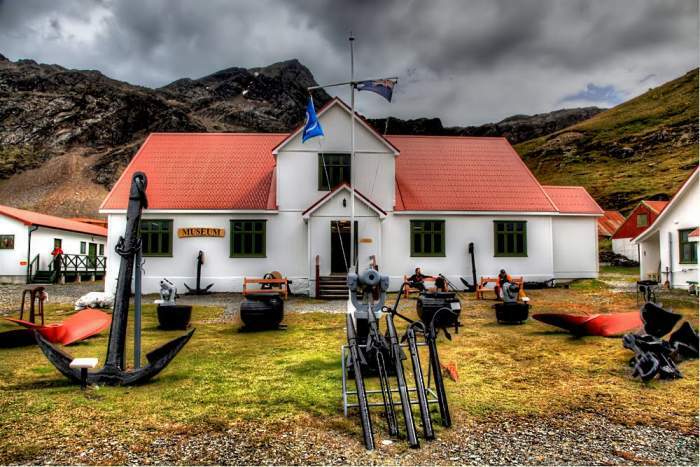 South Georgia Museum, located in Grytviken, is one of the most popular places on the island. Founded in 1991, this museum displays various objects, artifacts, paintings, and statues related to the natural history of human beings, exploration, discovery, surveying, and mountaineering. Visiting this interesting place is one of the most exciting things to do in South Georgia Island. 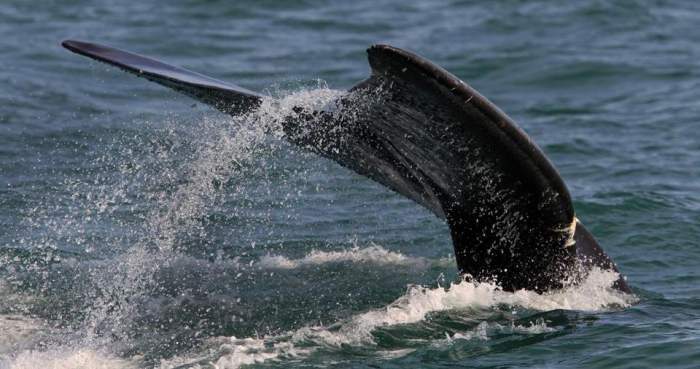 Located amid Craigie Point and Nameless Point, alongside Northern coast of the island, Right Whale Bay is popular for its exotic fauna population. Seeking into this place and spotting wildlife is one of the best things to do in South Georgia Island. Common wildlife is seen here like fur seals, South Georgia Island penguins, albatross, and right whales. It is a prohibited whaling station build in 1904 in Grittwiken by Norwegian marine captain Carl Anton Larson. At present, non-functional, this whaling station was highly active in the early years and had taken 195 whales away during its first session. 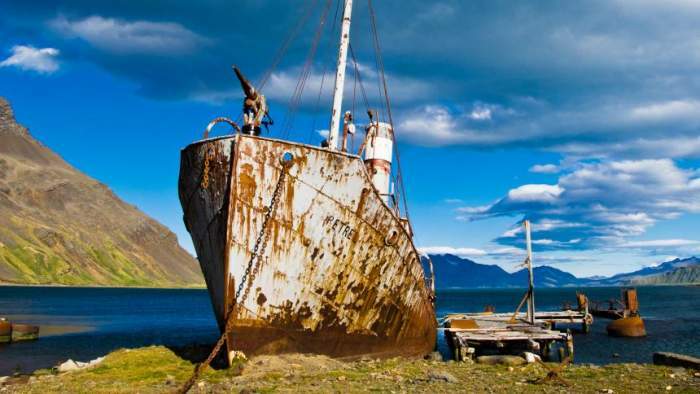 The residues and remains of the Whaling station are still surprising and worth visiting. If adventure is your type? Then join Shackleton walk from Fortuna Bay. Enjoy hiking through beaches and highlands, lakes, and glaciers until you reach the most picturesque Stromness Harbour. Have the pleasure of seeing this beautiful trek through the stunning sceneries and make the most of South Georgia Island vacation. South Georgia Island and its neighboring other small and large islands are known for its biodiversity. The place is home for seals, penguins, birds like albatross, etc. 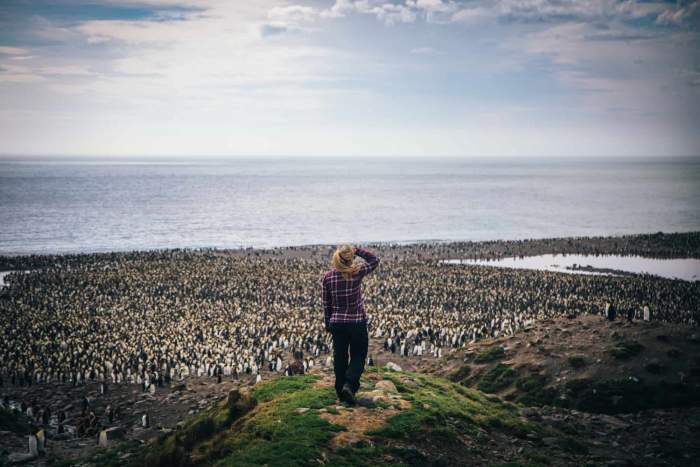 The Elsehul harbor and beaches surrounding the place has an abundance of attractions, where you’ll see a large number of seals, king penguins. Months of December and January are considered as inaccessible for this area as there are a huge number of seals on the beach and nearby sea water. In addition to witnessing seals and penguins, seeing the magnificent sea bird, Albatross is another attraction of South Georgia Island. You’ll catch the glimpse of the largest Albatross in Albatross Island of South Georgia. But since the population of this bird is declining day by day, so setting your feet on this island for just travel purpose might be a cause of concern. To see albatross you can stretch your legs to Prion Island. Though there’s some restriction, still you can reach some specific area of the island to see the birds. You like to see geographical features capped or covered in snow. You have a fascination for glacier too. Then you should not miss this Drygalsky Fjord of this island. This part of South Georgia has terrific beauty that comes from snow. This area has some interesting animal life like the Weddell seal which can’t be seen anywhere else other than Antarctica. Do you love landscapes enwrapped in the snow? You have a fascination for glacier too, right? Then you shouldn’t miss the Drygalsky Fjord of this island. This spectacular part of South Georgia has insane beauty that highlights snow in a different manner. There’s some interesting wildlife in this region such as Wendell Seal which can’t be seen anywhere except Antarctica. Next article10 Famous Australian Beers That Your Tongue Must Taste!